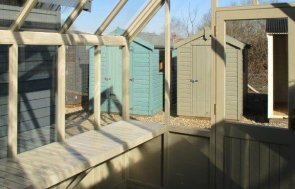 Our customer is based in Cookham, Berkshire, and wanted a high-quality, reliable Greenhouse for their prized potting plants and vegetables. They opted to add a workbench in order to optimise their storage and shelving options and chose a polished brass door handle with mortice lock. 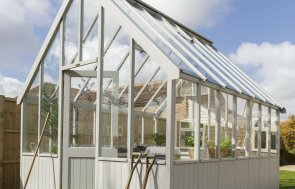 The Greenhouse boasts two automatic opening roof vents for when ventilation is needed and there is a vast range of exterior colour options to choose from for the shiplap exterior. The customer in this case chose the very tasteful and classical shade of Twine from our Valtti Paint range. Valtti paint is durable as is contains multiple layers which forms a durable bond with the timber to provide longevity. If you would like to browse our entire collection of high-quality timber buildings, the best way to do so is by visiting us at your nearest show centre. We have our Newbury Show Centre close by to Cookham for those who wish to plan a visit. 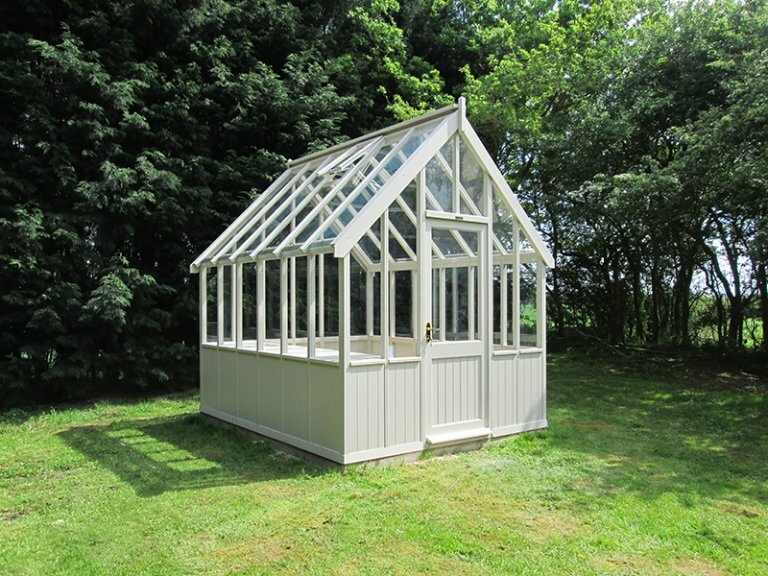 If you prefer, you are welcome to Contact Us to speak to one of our friendly advisors about your dream garden building.